A bicycle on a bridge in the snow. It started snowing heavily on Sunday afternoon. 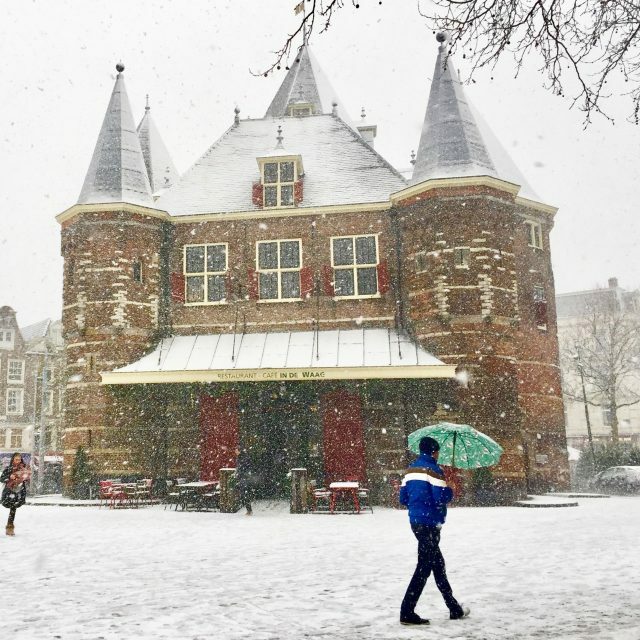 De Waag (castle) at Nieuwmarkt square looked like a fairy tale. 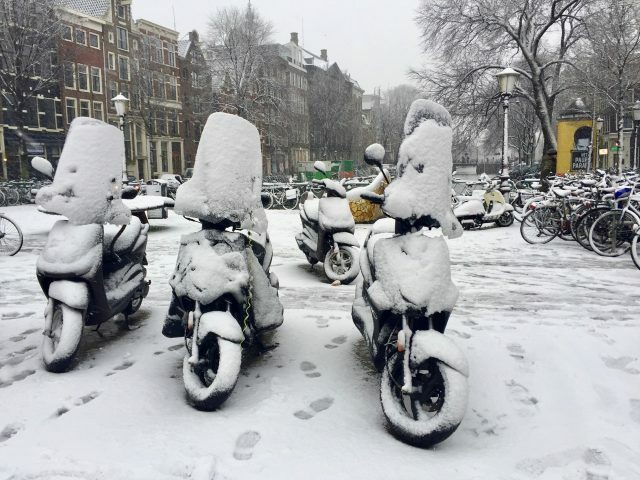 Scooters and bicycles covered in snow. The Kloveniersburgwal canal with its historic drawbridge. 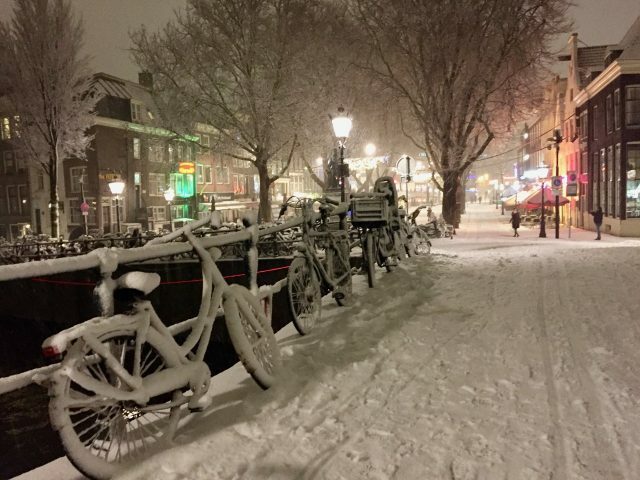 It stopped snowing on Sunday evening but the next day, Amsterdam was hit by another blizzard. And it didn’t ease for a moment! The ice-skating rink is a favourite among both locals and visitors. 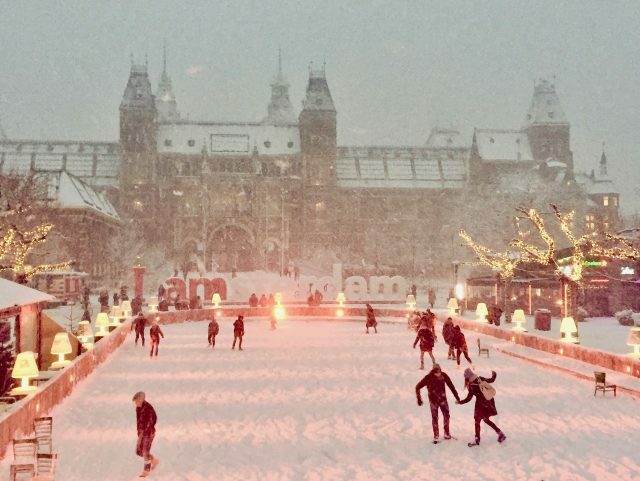 The iconic Rijksmuseum provides a stunning backdrop. 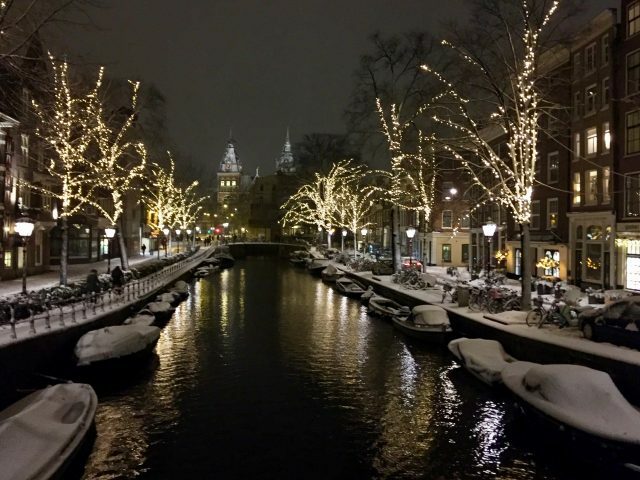 That evening, I went for a walk along the Amsterdam canals and the winter scenes were simply enchanting! I couldn’t help but take lots of photos of snow-covered bicycles! Haha! The Spiegelgracht (canal) lined by trees decorated with festive lights. Bicycles in the snow along the Reguliersgracht (canal). Every December, the canals are the decor for artworks by artists from around the world for the Amsterdam Light Festival. 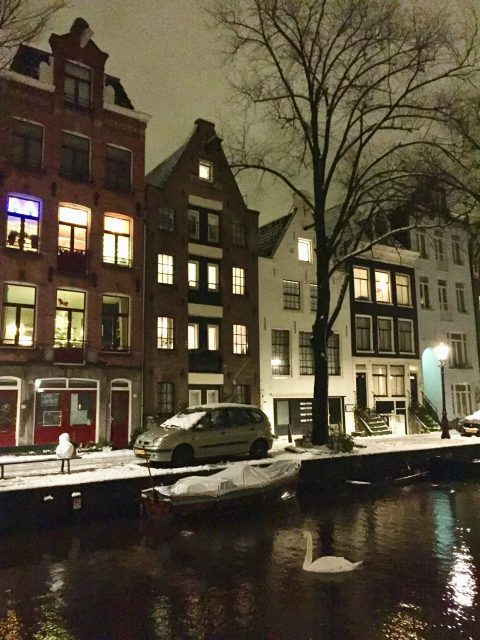 This laser installation at the Herengracht canal lit up the falling snow! 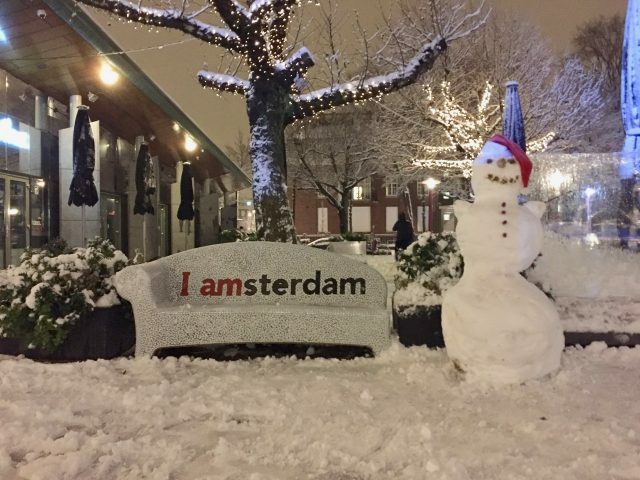 A swan in the Groenburgwal canal – and there’s a cute snowman on the bench. I ended my walk at the Nieuwmarkt. It was close to midnight and the blizzard had finally eased. 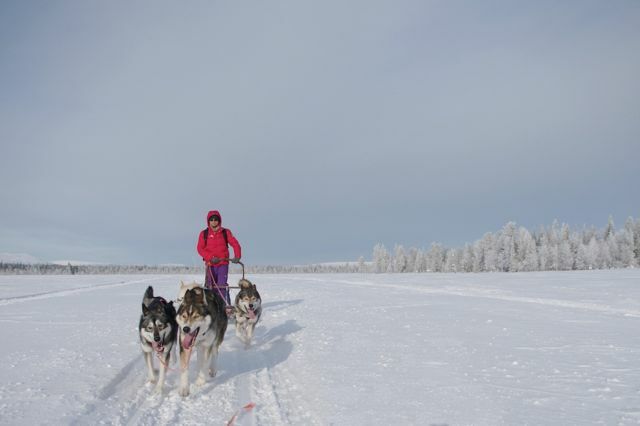 Everything turned to slush the following day as the sun shone brightly but it sure was a memorable two days! 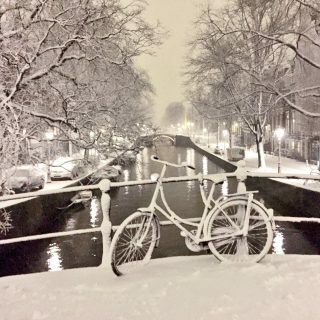 The winter scenes in Amsterdam were absolutely gorgeous! The sun shone brightly the next day and the snow soon disappeared. 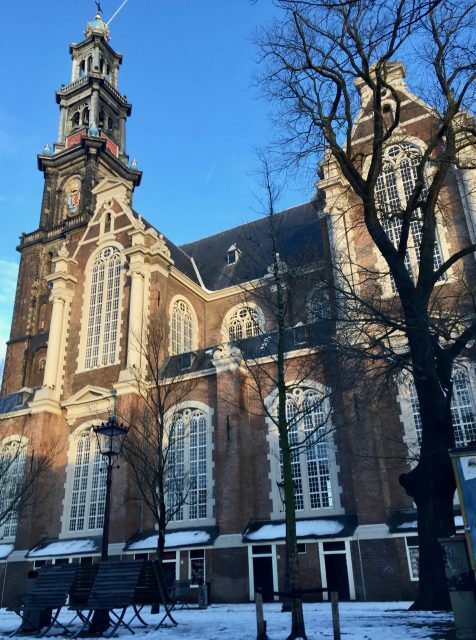 This is the Westerkerk (church). 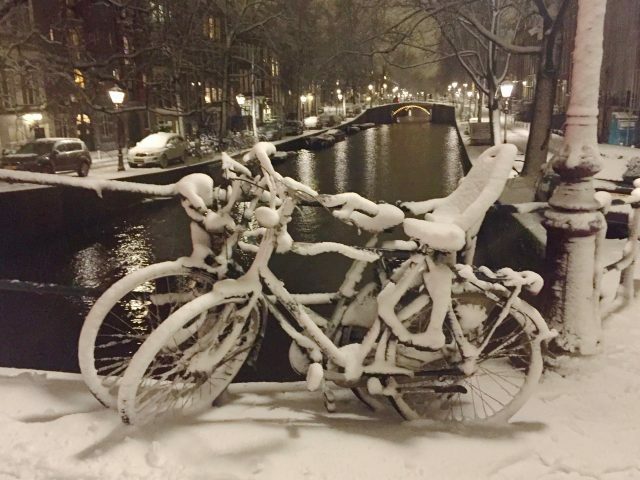 Check out my photo essays of past winters in Amsterdam. Read about my weekend of indulgence in Amsterdam. Haha! Amsterdam is a fun city – I LOVE it! There’s always something to do and see, new places to discover, great events to attend, etc.. It’s seldom dull. These photos are gorgeous. Is Amsterdam as fun as people say it is? Really?!!! That’s waaaaaayyy too early!